SAN FRANCISCO (KGO) -- Store closings are expected to peak this year, but how many? Published estimates range from 3,600 on up. Toys "R" Us already started their going out of business sales this week. There are 170 Toys "R" Us and Babies "R" being closed, along with eight in the Bay Area. 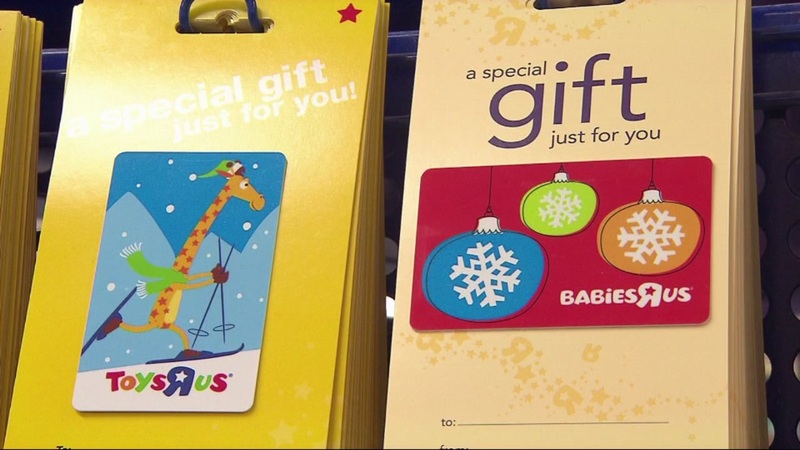 Toys "R" Us gift cards are safe, but they may not be convenient anymore. Charming Charlie, a woman's clothing and accessory retailer, is expected to close stores as well. Shelley Hunter is the Gift Card Girlfriend with giftcards.com and says, "Charming Charlie's recently filed for bankruptcy, so if you received a card for Charming Charlie, or any of the stores that seem to be closing a lot of their locations, I would use those gift cards right away. Shopper Sheranita Mayo just used her Charming Charlie gift card and says, "I knew they closed the location in Emeryville and I used the gift card." Good thing says, Gift Card Girlfriend's Shelly Hunter, "A lot of companies are hoping they will get enough sales in the holidays to bolster their business. If that doesn't happen we see a lot of bankruptcies after the start of the new year. " My advice is to always use a gift card sooner, rather than later. Bankruptcies are a concern and so is misplacing the card or just forgetting about it. So gift card buyer beware. Click here for more videos and stories about 7 On Your Side.